Although nitrite is not as toxic as ammonia, even at low concentrations in the pond, it can be harmful to your pet fish. High nitrite and nitrate levels can cause irreversible damage to your fish’s liver, spleen, nervous system and kidney damage. Nitrite poisoning may even result in the death of your fish. 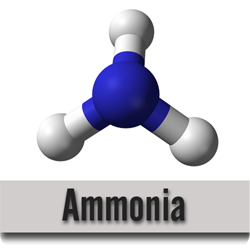 Ammonia is converted into nitrites by good bacteria called Nitrosomonas. Nitrite is then converted to nitrate. Nitrates are the final product in the reduction of ammonia. Nitrates are generally removed from the pond environment by plants. 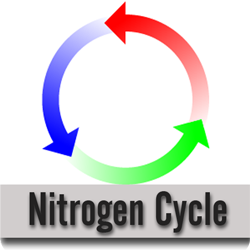 When Nitrobacteria breakdown nitrites in the pond environment nitrates are produced. Nitrates are a natural by-product of the bacterial reduction or removal of ammonia and nitrites in the koi pond ecosystem. Nitrites and Nitrates can become harmful to pond fish if they become abundant and are not removed from pond water. Both can lead to fish mortality if not kept in check. What are the symptoms of high nitrite in the koi pond? You may notice fish gasping at the pond surface or hanging near air stones if nitrite becomes problematic. High nitrite concentrations can result in a condition known as ‘brown-blood disease’. Brown-blood disease occurs in fish when their pond water contains high nitrite levels. Nitrite enters the fish’s bloodstream through the gills and preventing the red blood cells from absorbing vital oxygen from the water. It turns the fish’s blood to a chocolate-brown color. 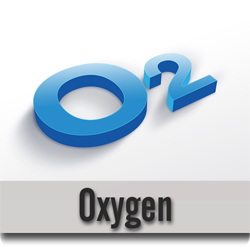 Hemoglobin, which transports oxygen in the blood, combines with nitrite to form methemoglobin, which is incapable of oxygen transport. Brown blood cannot carry sufficient amounts of oxygen through the fishes system; therefore the affected fish can suffocate regardless of adequate oxygen concentration in the pond water. This accounts for the gasping behavior often observed in fish with brown blood disease, even when oxygen levels are relatively high. What is a safe nitrite level for koi? The ideal range for nitrite is 0.00 parts per million. 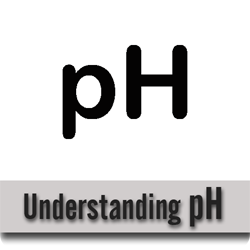 A reading of 0.25 ppm or higher is dangerous to your fish and indicates that you need to take immediate action to reduce the nitrite level in your koi pond. Every koi keeper should own a simple test kit to test the water quality of their pond water. Toxic chemicals such as ammonia, nitrite, nitrate and others are not apparent visually. Perfectly clean clear pond water can contain dangerous, even lethal levels of toxic chemicals. What are the symptoms of high nitrate in my koi pond? Accumulation of nitrates can cause problems such as damage to the veins in koi fins and skin, depressed immune system, and even reproductive problems. Koi in high nitrate conditions may act dull or lethargic but perk up and become energetic for a feeding then quickly return to the prior state of lethargy. Often, fish that are subjected to high nitrate accumulations over time will experience slowed growth, delayed wound healing and will become extremely susceptible to illness and parasitic infestations. What is a safe nitrate level for koi and goldfish? The ideal range for nitrate is 20-60 ppm, parts per million. If your pond reaches 80 ppm you should begin a regiment of partial water changes to reduce nitrates to a safe level. Nitrate becomes extremely toxic above 120 ppm. What is the best way to reduce high nitrite levels in a koi pond? If you encounter a situation where the ammonia, nitrite or nitrate are rising to toxic or lethal levels you should do an immediate water change of at least 1/3 – ½ of the total system. 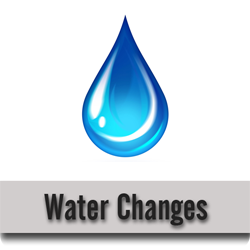 The newly added fresh water will not resolve problems associated with high or toxic chemical pollutants, it only dilutes them to a level acceptable to your fish. Alternatively, in the unfortunate event that your koi are becoming very ill due to extreme deterioration of water quality you could increase the amount of water exchanged to 20-30% daily for a short period of time. Increased nitrite levels usually mean the necessary good bacteria in your pond that turn nitrite into nitrate have not developed in sufficient numbers. For the time being, the best things you can do is to increase the aeration and perform partial water changes. Additionally, there are several good bacteria products on the market that you can add to the pond. These should help increase the bacteria colonies quicker than they will colonize naturally.